If you are new to intraday trading and want to be able to cushion your trade from unforeseen losses, here are a few pointers on risk management that you should consider. Stock market trading is one of the most sought-after ways to ensure an alternate income that helps one maintain a good lifestyle. At the same time, not everyone is able to earn from intraday trading given the higher amount of risks involved in the practice. Nonetheless, if you frame a proper risk management strategy and practice it with discipline, you can definitely earn good returns out of intraday trading. This makes risk management a crucial part of intraday trading. If you are new to intraday trading and want to be able to cushion your trade from unforeseen losses, here are a few pointers on risk management that you should consider. But before we look at them, let us first understand the risks involved in intraday trading. · High price fluctuations: These fluctuations are very uncertain, especially when the market is volatile. Due to this uncertainty, the chances of losing money becomes higher. · Lack of strategy: When you don’t have a strategy in place or do not fully adhere to the one you made, or if you move only on the basis of speculation, then the chances of you losing money become higher. · Wrong exit: Often, a wrongly timed exit can result in losses, and this remains a potential risk while practicing intraday trading. · Emotional trading: When trading-related decisions are driven by emotions, the chances of committing a blunder and falling prey to losses get higher. · Technological slippages: There could be some slippages that you encounter while using technology, and though such risks occur rarely, they still might cause losses. 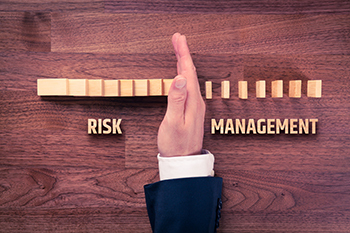 How to practice risk management in intraday trading? · Plan your trades: Planning your trades mostly involves deciding on the stocks you wish to enter and their current trend. Ensure that you opt for stocks that are predictable and stable in order to minimize risks and ensure optimum returns. · Prefer logic over emotions: Always go by your research and market analysis rather than falling for the emotions of greed or fear. Preferring calculative judgments that are backed by logic is a good risk management practice. · Stop-loss: Calculate the stop-loss price diligently as it marks an important point of exit, especially when things don’t happen as expected. Stop-loss has to be optimum in terms of risk management so as to avoid incurring of losses. · Take-profits: Calculate the take-profit point keeping the due calculations in mind. Do not be greedy as it can end up in losses. The opposite of stop-loss, this tool helps you book profits when the price of your stock touches a particular point. · Plan your exit: Once you have calculated the stop-loss and take-profit values, it is important that you exercise exit at those points for better risk management. · Choose the right broker: It is important that you choose a broker who has due credibility and is reliable for optimum risk management. · Use the latest tech: Ensure you and your broker use updated versions of app and websites to avoid any technological glitches, thereby ensuring proper risk management.